Britishness – a slightly posh sounding term, besides a reason for the pride of belonging to the Isles – is defined by common qualities, habits, behavioural types and a never-ending list of symbols that stand as the foundation that ties together the inhabitants of the Kingdom. Besides the RP standard, the Union Jack, the Queen or the Buckingham Palace, there are other things that bring their contribution to this immense mosaic of Britishness… Such as, for example, Rolls Royce; or Bentley, Aston Martin, McLaren, Jaguar, Rover… or MG. Some critics might point their fingers and say that although their names still tie them to the Isles, they all belong to outsiders. And, partially, that’s true. Rolls is owned by the BMW Group, Bentley by the VW Group, Aston by…too many. But let’s stop here. The point of this short exposition is that although the brands may not be as pure as when they were first founded, that does not take away their identity. You won’t see a Rolls on the street and hear someone else saying: “There’s a rebodied BMW!”. No. You’ll see awe, admiration, envy perhaps, but not this; and no matter what its owner may be, the brand proudly displaying the Spirit of Ecstasy emblem will forever be a symbol of Britishness. But we’re not here to talk about Rolls; far from it. We’re here to talk about MG, a marque as iconic to the Kingdom as some of its “sisters”, but perhaps a bit neglected. June 2014 marked 90 years of heritage for the company. Celebrated at Silverstone in grand manner, the anniversary drew in a considerable audience (over 15.000) and numerous models, from the early production vehicles up to the latest ones, the MG6 and MG3, with a cumulated worth of over £3 million. So what is MG and what sets it apart from the others? And better yet, is MG still a British icon? Let’s find out! 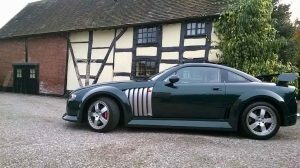 Founded by Cecil Kimber, the marque received its name in honour of Kimber’s employer, William Morris, the possessor of Morris Garages. 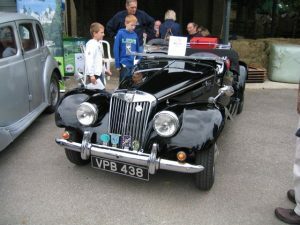 Kimber, who at that time held the title of General Manager for Morris Garages, was an automotive enthusiast and his appreciation for the motor world came to fruition when he began building bespoke tourer bodies that he attached to Morris Cowley chassis, the result bearing the name of Morris Garage Chummys. However, the premier model to bear the MG badge was the 14/28 Super Sports model, which went on sale on the 1st of September 1924. Based on the Cowley, the 14/28 shared most of its internal components, but had a slightly more powerful engine (a 1.8 litre four cylinder unit with a three speed manual transmission). Nonetheless, the main differentiation factor was the exterior. Unlike the Cowley, the 14/28 had a two-tone exterior, with body panels constructed from aluminium and a massive front grille, finished in chrome. The lighter build and more powerful motor gave the Super Sports an edge over its competition, performing not only better, but also being less expensive to purchase. In 1928, MG transitioned into MG Car Company Limited, gaining its independence from Cowley and producing the 18/80 model, the first truly independent built MG ever. A two door convertible, it was powered by a 2.5 litre straight six, with a top speed rated at 78 miles per hour. Further differentiating elements were its flat radiator design and wire spoke wheels. More models followed, most notably the 1928 M Type Midget, an 847cc, 8 horsepower car aimed at the budget conscious. By no means a slouch, its performance was close to that of the 18/80, but at a fraction of the price; soon, the vehicle would account for over 50 per cent of the total sales of the brand. This allowed the marque to relocate into a much larger facility, moving from Oxford to Abingdon, in 1929. As a natural evolution, MG became interested in racing, as Kimber saw the potential for offering his customers more powerful machines of the standard versions, not to mention the immense publicity benefit of racing. The C Type Midget, with its boat tail design was the racing version of the D Type. 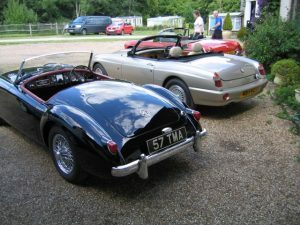 It featured a two door aluminium body, with racing instrumentation, leather bonnet straps and a quick fill fuel cap, situated at the very end of the tail. Costing more than £100 more than the standard D model, the C Type’s asking price was £295 – it sold in only 44 examples, but it proved its worth in the Brooklands Double Twelve Race in May 1931, when the first five finalists crossed the finish line behind the wheel of C Types. The most reputable victory scored, however, was not at home, but in Italy, at the 1933 Mille Miglia race, when an MG K3 Magnette won the competition. Not only was this a special occasion for the team, for securing the first place, but it also set a premiere, as no other foreign team had won the competition in the past, save for the hosts. manufactured from 1936 up to 1955 represents the last line of models following the almost obsolete design language utilized by the marque. The TF Midget was the final model in the line-up, replaced, in 1955, by the MGA, a sleek looking coupe/convertible sports car that brought forth a more daring exterior design, befitting of a modern car. Under the hood, a 1.5 litre 68 horsepower engine (later 72) propelled the automobile to a top speed of 97.8 miles per hour, with the 0 to 62 sprint being done in 16 seconds flat. As a curiosity, only the coupe had door handles on the outside. In 1952, 3 years prior to the launch of the MGA, Austin, another home grown brand, had fused with MG, giving birth to the British Motor Corporation Limited (BMC). The 16th of May 1956 marked the day when the 100.000th MG was produced, the model in question being an MGA. In 1962, the MGB, an iconic model, had superseded the MGA. Sporting a much more aerodynamic profile honed in the wind tunnel, it brought improvements in both comfort and performance, having a 1.8 litre, 94 horsepower engine which allowed it to reach the 62 miles per hour mark in only 11 seconds. Its design also differed from that of its predecessor, as it had a monocoque body, as opposed to the traditional body-on-frame structure utilized by previous models. was also the one millionth vehicle produced by the marque, occasion celebrated in October 1975; all in all, the model (with subsequent alterations) remained in production for over 18 years, until 1980.
produced from 1967 to 1969 in only 8,999 examples, was not the commercial success that the company wished for. 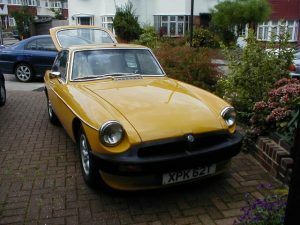 Its larger size, a supposed advantage for the customer, alongside the seemingly never ending issues, such as the heavy understeer, lethargic feedback caused by the excessive front load, increased fuel consumption and slow gearbox brought it constant criticism, both from the press in the very launch day and from enthusiasts, as it was far from the highly successful MGB. In the 1980, the Abingdon factory closed, bringing MG cars production to a halt, as huge protests went underway. Just six years later, Rover took ownership of the MG name and began re-badging its own cars with the octagonal logo, to the distaste of purists, who saw it as the death of the original company. 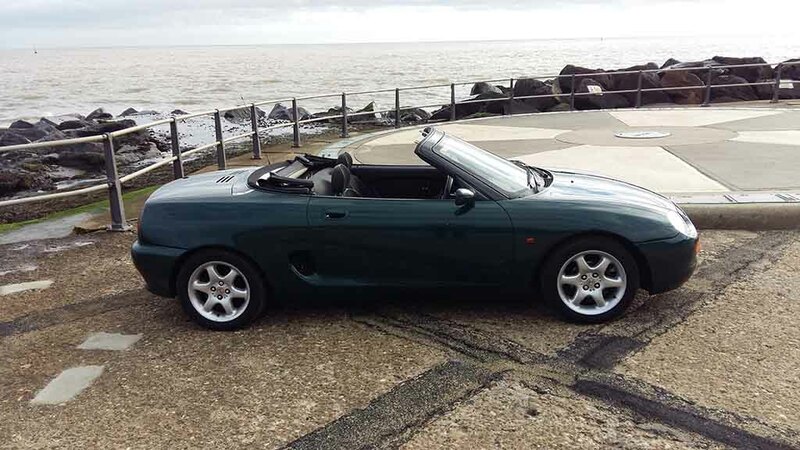 In 1992, the MG RV8 was introduced, in an attempt to invigorate the brand. It featured similar proportions to the MGB, but it had different body panels, a more expansive interior with leather upholstery, genuine wood trim and most notably Porsche headlamps. Under the bonnet, a 3.9 litre Rover V8 engine, developing 185 horsepower. As it was presented at the 1993 Tokyo Motor Show, demand became so great that nearly three quarters of production went to Japan. BMW became the new owner of MG in 1994 and in 1995, the MG F was launched. Available only as a two seat convertible, it signaled the return of the marque to its roots. Besides the fact that it sported a novel exterior, the engine (originally a 1.8 litre four cylinder 120 horsepower unit) had a central position architecture, for better handling. Coupled with the Hydragas suspension and the five speed manual transmission, it transformed the F into a commercial success, this being the first mass produced MG since the 1980s. A year later, a Variable Valve Control system of the same engine offered at launch increased the power output with 25 horsepower. 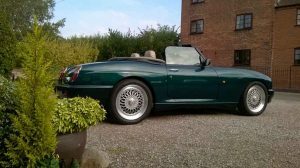 In 1999, a facelift brought the MG F new trims, new alloy wheels and a CVT transmission (until then, only a manual was available). However, since the BMW Group had the Z3 roadster to pamper and couldn’t allow the smaller British car to evolve too much, but that changed in 2000, when BMW sold MG back to Rover. The MG Rover Group was born, with production based in Longbridge, Birmingham. The MG TF, an evolution of the F, with slightly improved exterior and interior, alongside more engine choices. Up until 2005, when the Rover Group entered into dissolution, MG models based (read rebadged) on Rovers, such as the ZR and ZS were released to the public, their main selling point being the rather low acquisition price. From 2003 to 2005, the MG SV, a performance centric vehicle based on the Qvale Mangusta, was produced under Rover supervision. The entry level SV had a 4.6 litre Ford V8 engine under the bonnet, which was capable of producing 320 horsepower and featured a carbon fibre body. An even more powerful version of the SV, the SV-R, began to roll out of the production line in 2004. The same Ford V8 was tuned to produce 385 horsepower, while the displacement increased to 5.0 litres, which promised a 0 to 62 time of only 4.9 seconds and an estimated top speed of 175 miles per hour. Although aggressively styled, the SV (and SV-R version) never reached the commercial success that Rover was hoping for, as the price of £82,950 was exceeding even that of the Porsche 911, which cost £17.000 less! A less than responsive drivetrain and the heavy intention for body roll, together with the somewhat languid American V8 were some of its vulnerable points, which eventually killed the car. After months of rumors, in 2005, the Nanjing Automotive Group, China’s oldest car producer, took over the marque and all of its assets for £53 million, only to fuse, in 2007, with SAIC, China’s leading car maker. 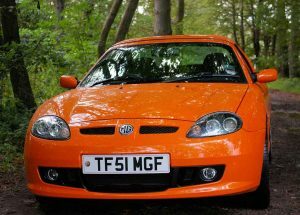 2007 marks the beginning of a new chapter for MG, as its new owner brought it back from the dead. On the 4th of September 2008, the Limited Edition MG TF 500 rolls out of the Longbridge factory, marking the beginning of production for MG. 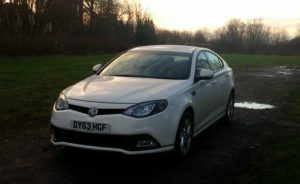 In only three years time, after an extended absence, the MG6 GT, dubbed by the company “the first all new MG in 16 years” has its UK debut. was a five seater fastback, completely designed in the UK, sporting a 1.8 litre TCI-Tech four cylinder engine capable of delivering 158 horsepower, with a saloon version arriving only one month after (the MG6 Magnette). The latest vehicle to come from MG, the MG3, a hypermini, went on sale in September 2013. Priced at a mere £10.000 (or even less, depending on trim) the new MG3 was available with an impressive array of interior fittings, trims, exterior colours and even sports an Union Jack on the roof (if you want it, that is). Now that the history lesson is over, would you say that MG is an expression of Britishness, although it is owned by the Chinese group SAIC? Has the marque been so influential that it has gained a soft spot in the hearts of the Brits – and not only – or has it estranged itself from its roots? We’d say yes, MG was and is a brand that needs not only recognition, but also respect, as it has endured the test of time and the heritage of the original model bearing the octagonal logo still lives today through its more modern offspring. Regarding its identity… nothing – or almost nothing, can remain unchanged, as the world is an ever changing medium – and that applies to money too, because without financing, an automotive venture (or anything else, for that matter) is nothing, as R&D, marketing and production cannot be paid with bottle caps and sunflower seeds. In the end, MG has remained inherently British – the design of its products is done right at home – even if the money comes from another place, which happens to be the largest market on the planet. With a heritage that spans more than 90 years into the past and with models that have gained international acclaim, we can proudly place MG alongside its more expensive brethren, such as Bentley or Rolls Royce as a true expression of Britishness, because, after all, that is what makes this marque so special.